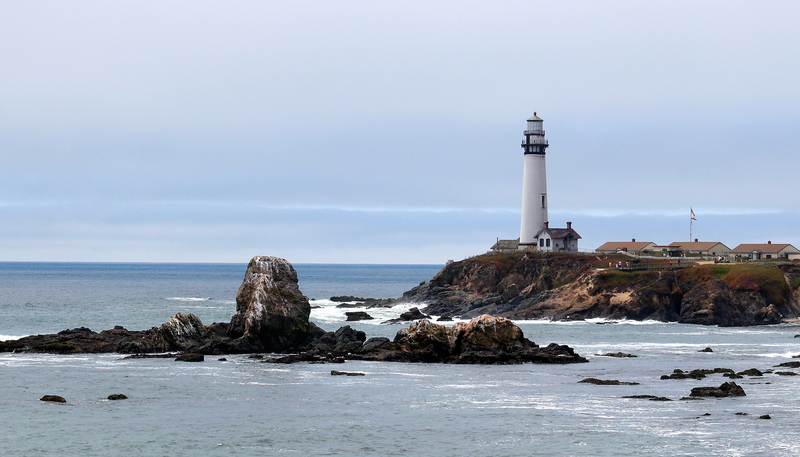 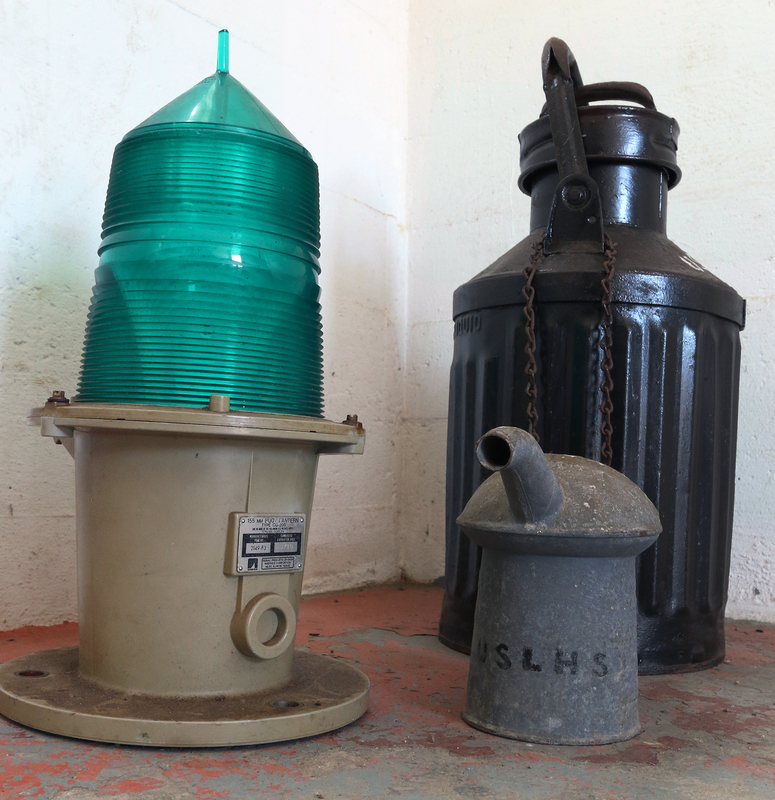 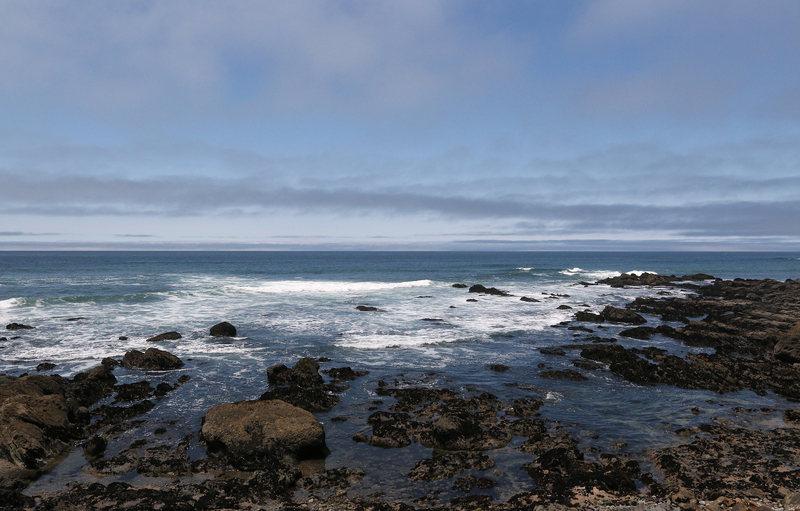 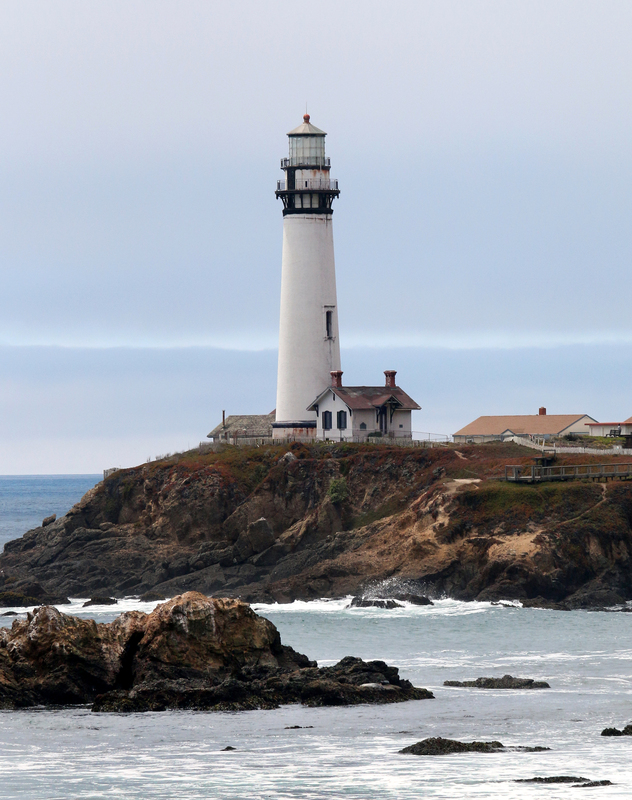 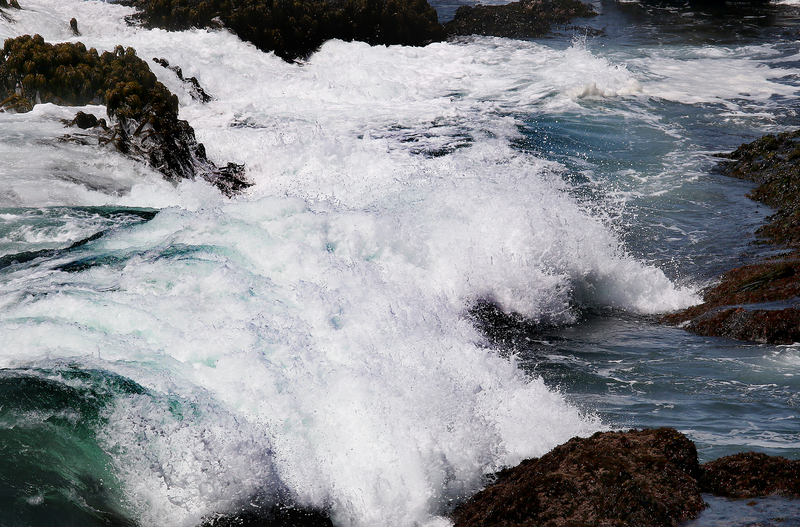 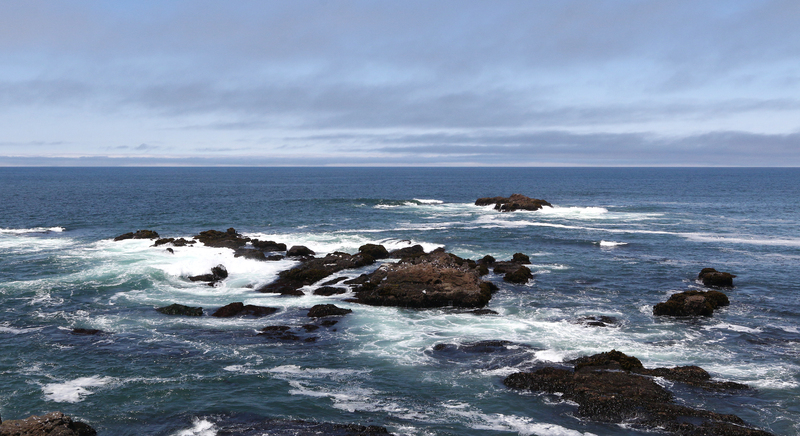 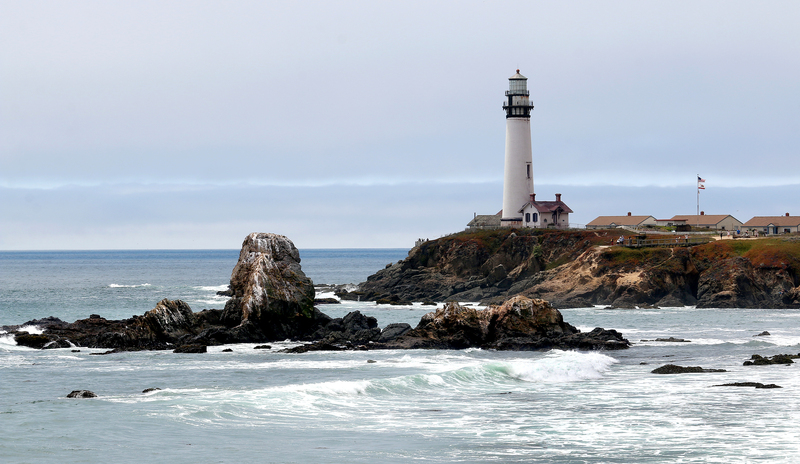 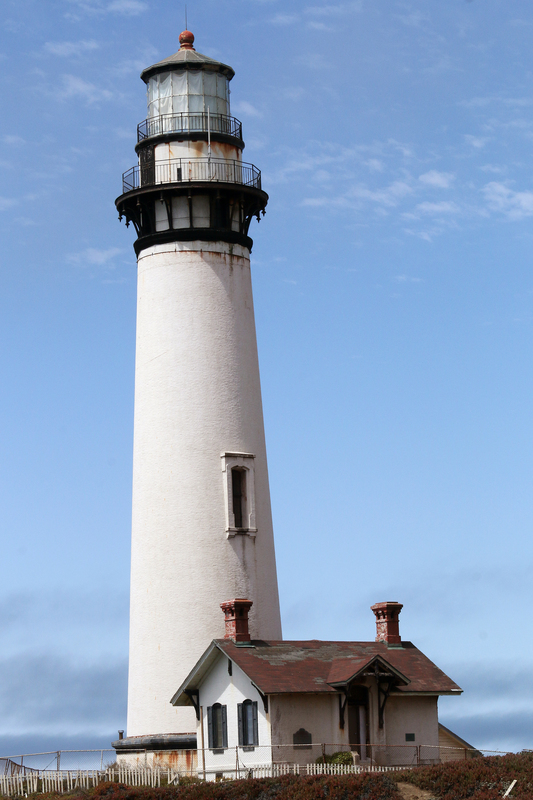 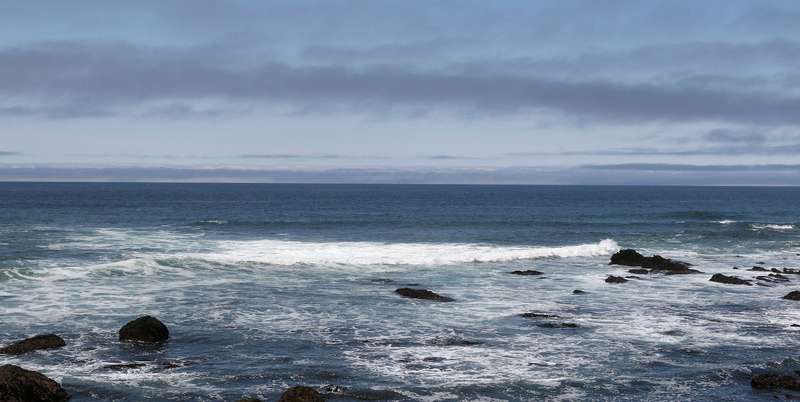 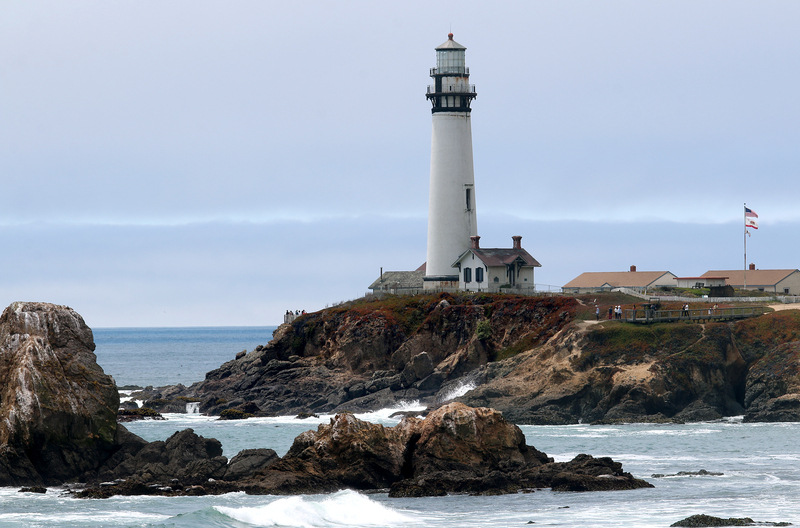 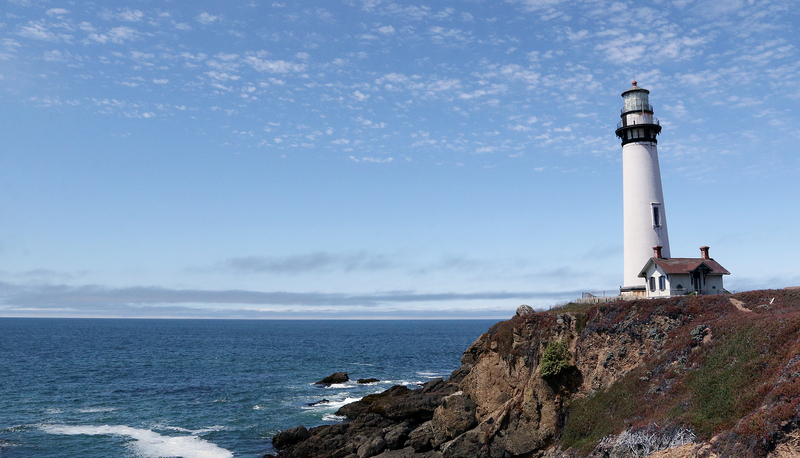 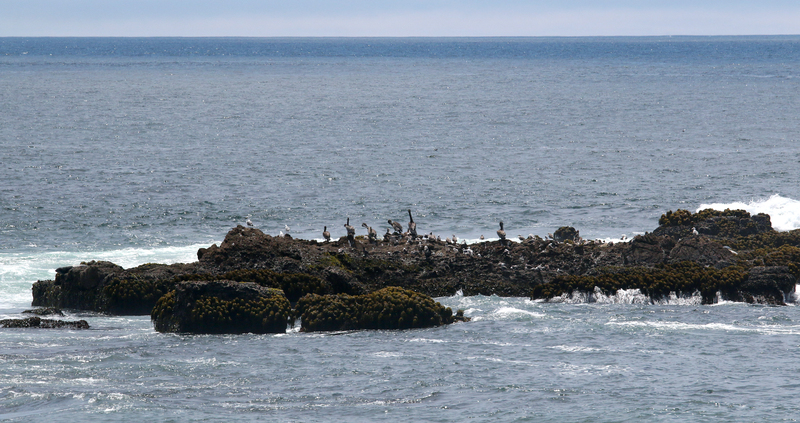 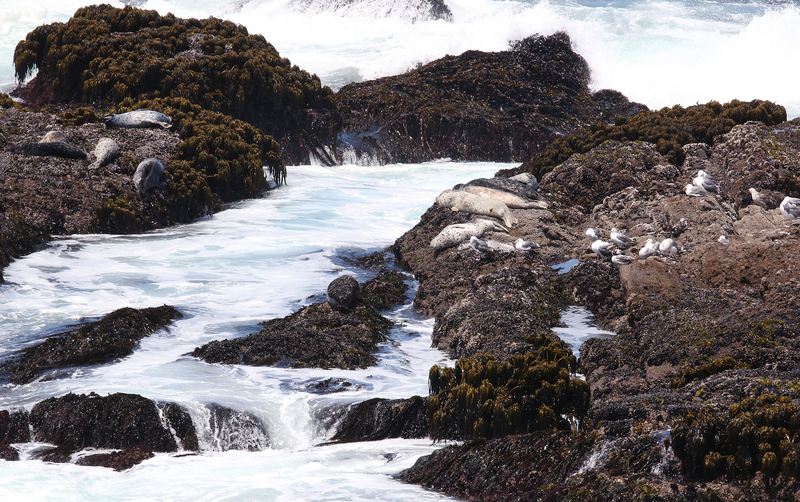 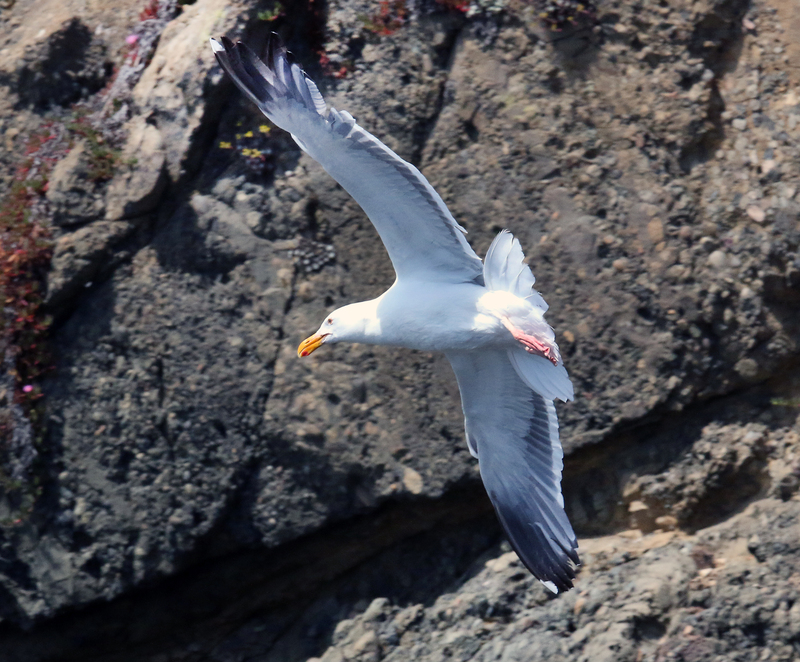 First lit in 1871, the Pigeon Point Lighthouse sits on a rugged outcrop of rocks along the California coast. 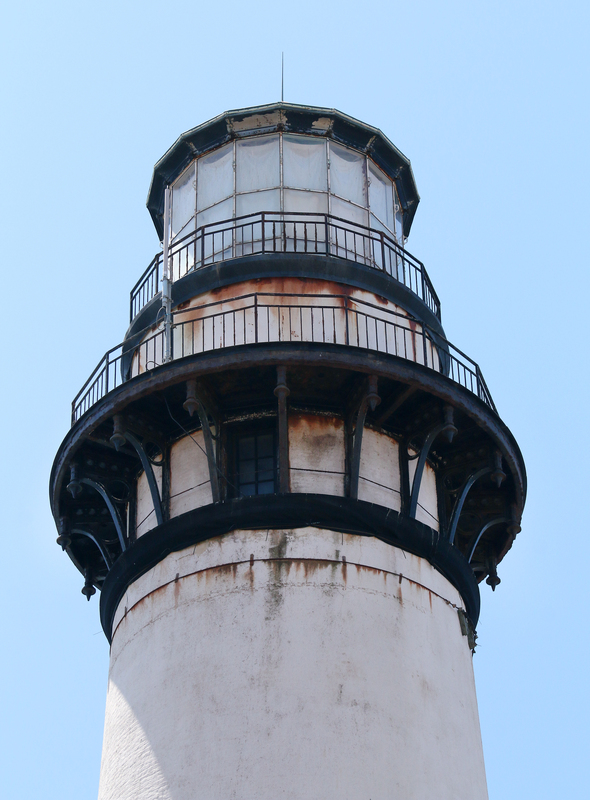 The 115-foot-high brick tower has weathered through the years and has been closed to public tours since 2001. 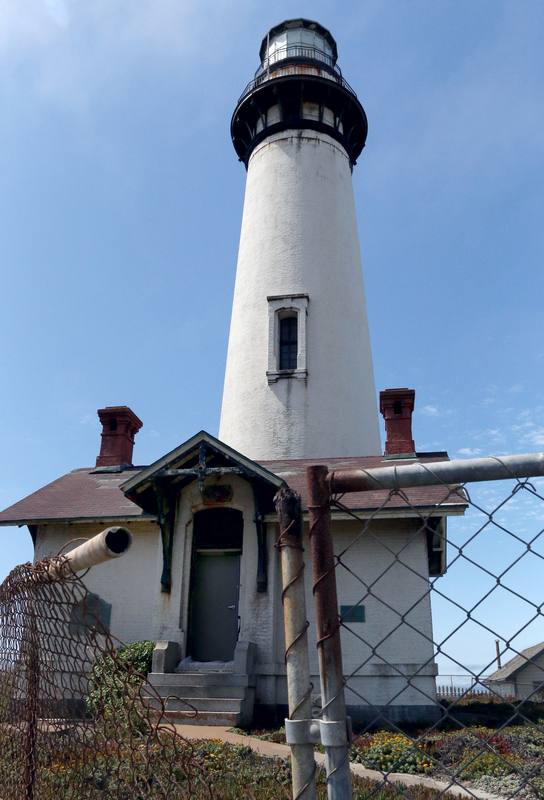 A chain link fence separates the lighthouse from the grounds of now is a state historic park. 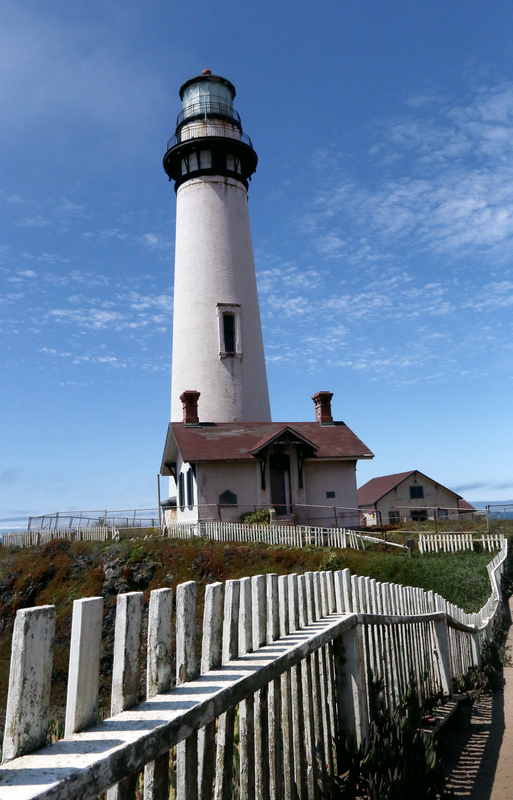 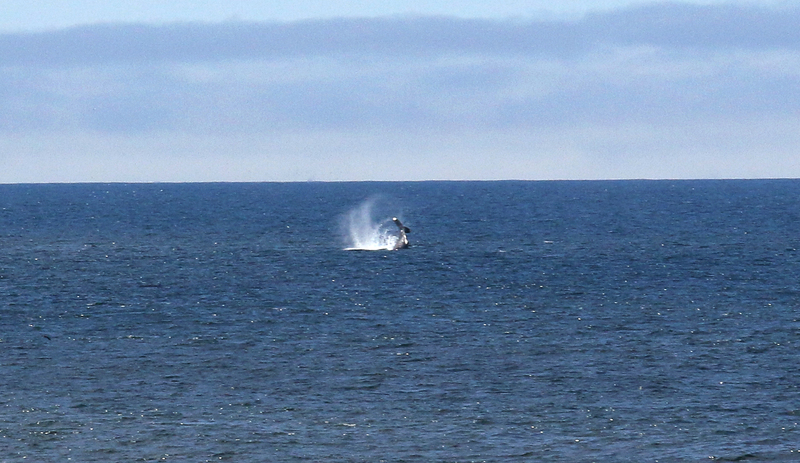 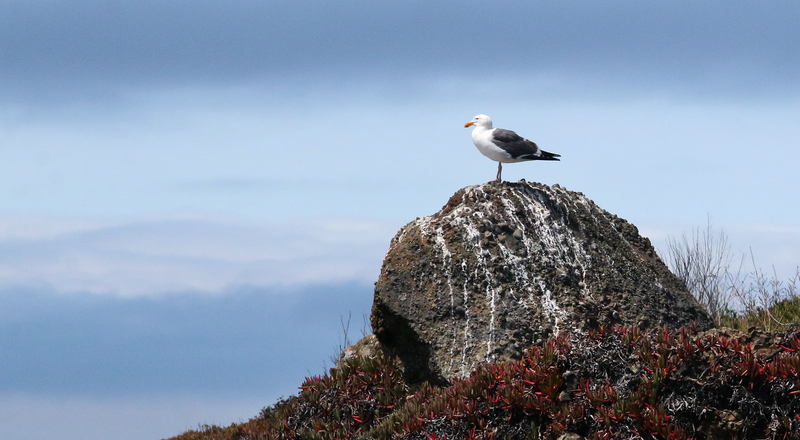 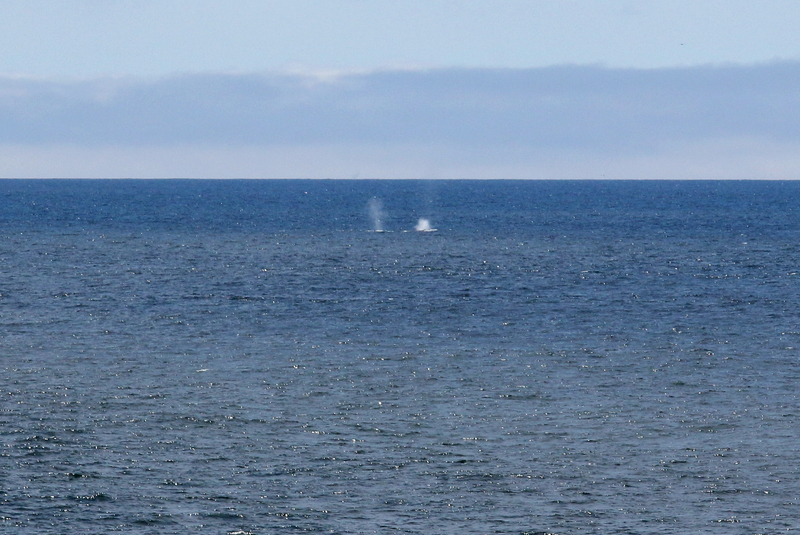 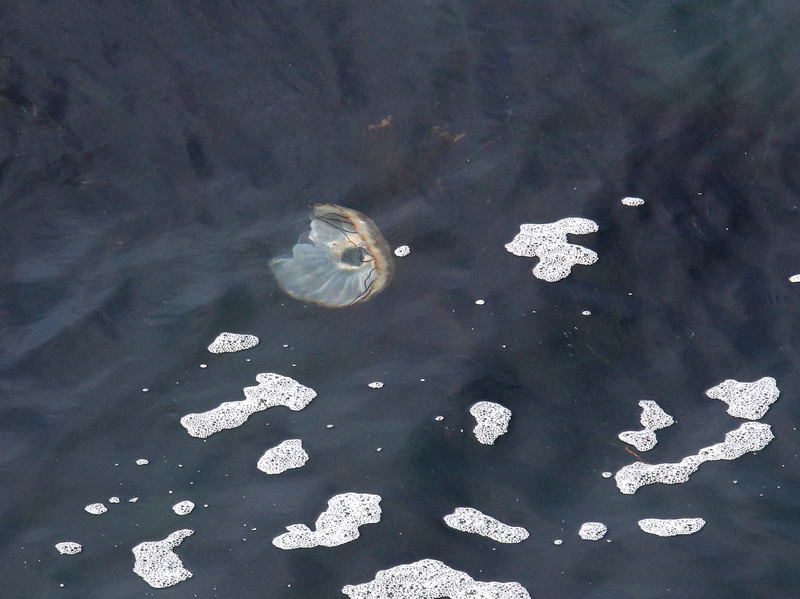 The lighthouse sits near the whale migration route and plumes of water spouted from humpback whales dot the ocean in the distance. 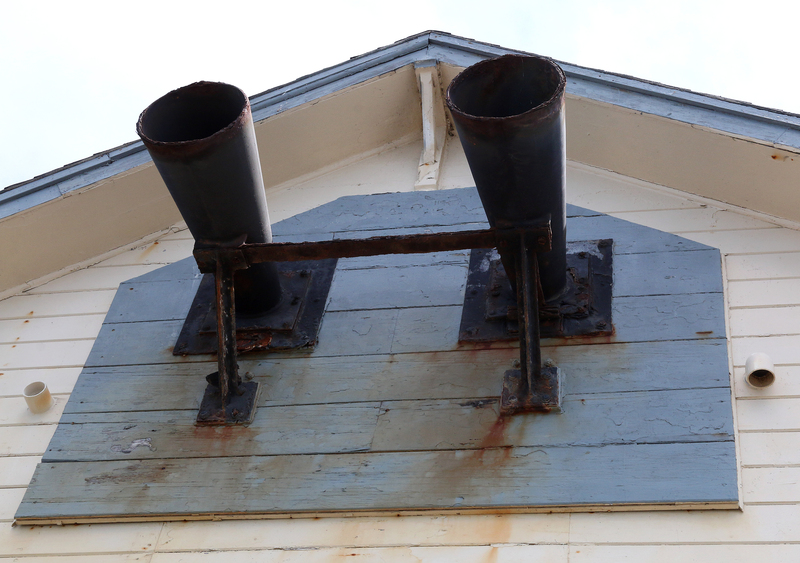 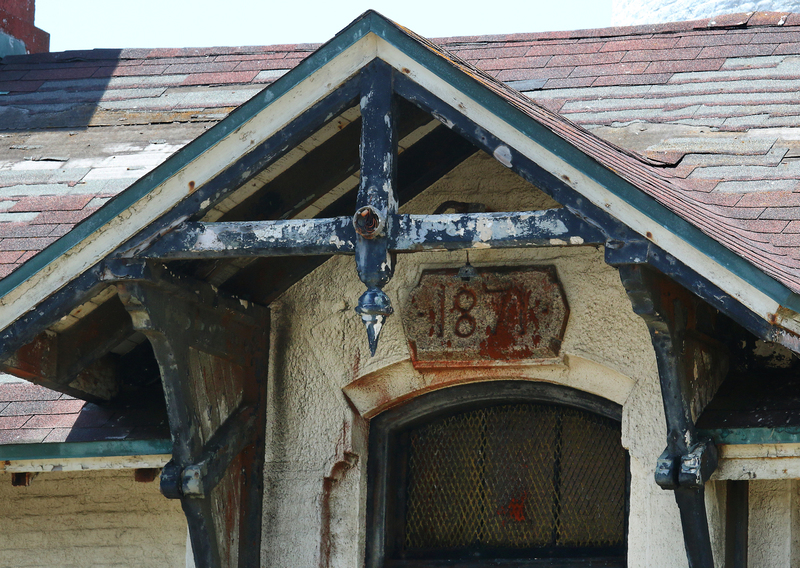 The original foghorns, now silent and rusted sit on the building that now is the park’s visitor center. 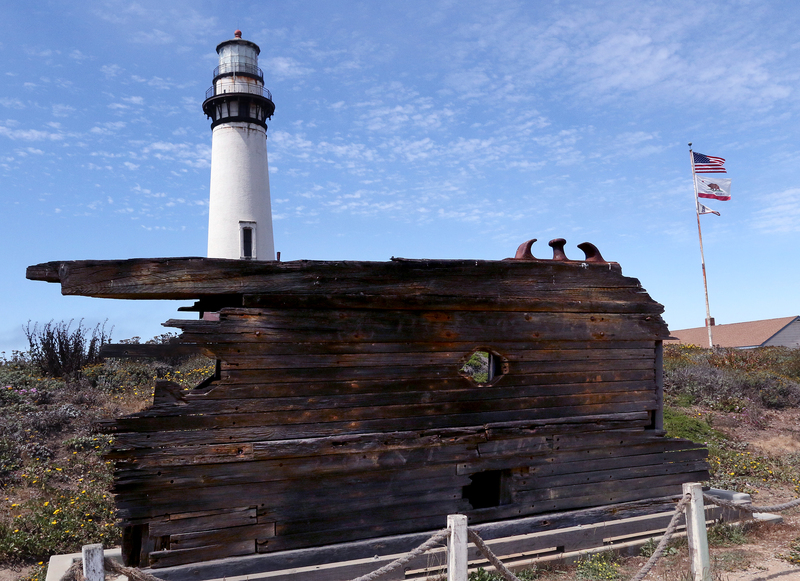 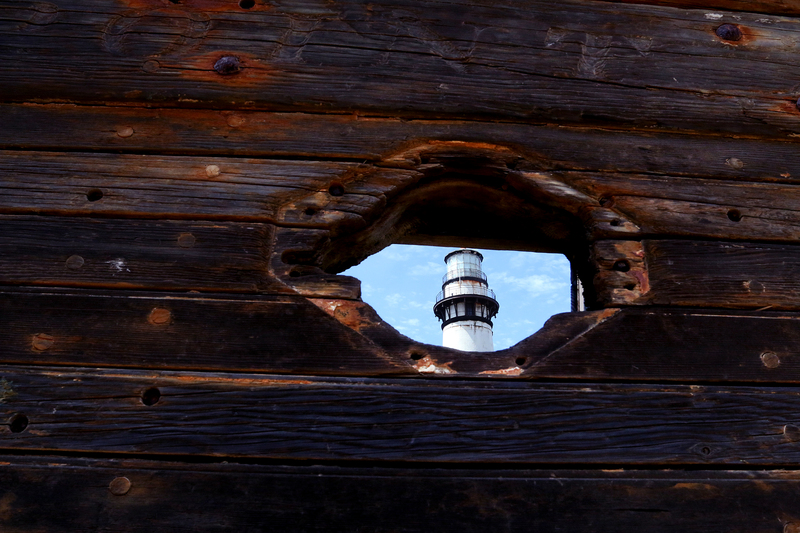 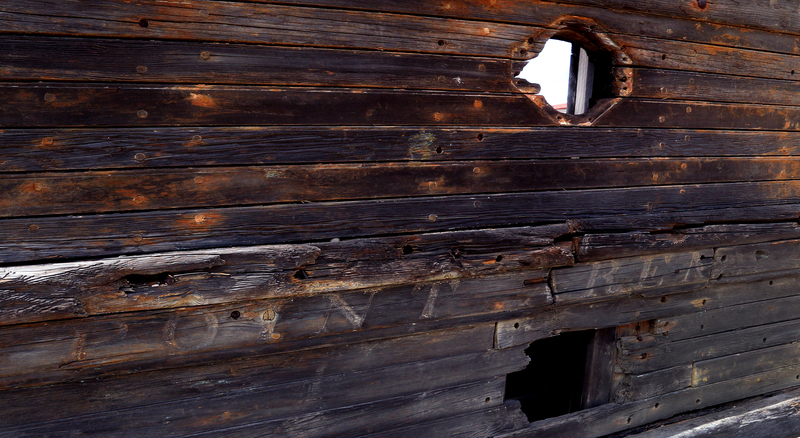 A piece of wood from the wreckage of the Point Arena sits before the lighthouse as reminder of the sea’s danger.